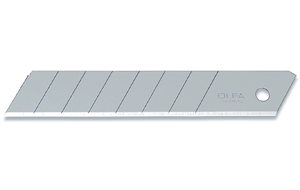 The OLFA® LA-X Fiberglass-Reinforced Heavy-Duty Utility Knife with Multi-Pick lets you work with confidence. 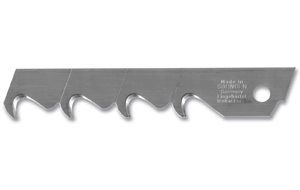 The rugged stainless steel blade channel extends the full length of the handle to support heavy-duty cutting. The auto-lock blade slider allows for quick and easy one-touch blade extension into multiple cutting depths. Uses Replacement Blades LB, LBB, LH and L-SOL. 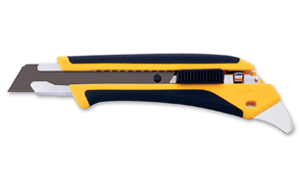 A good knife for cutting leather, rubber, cardboard, rope, paper, carpet, fiberglass, acetates, linoleum, plastic, etc.